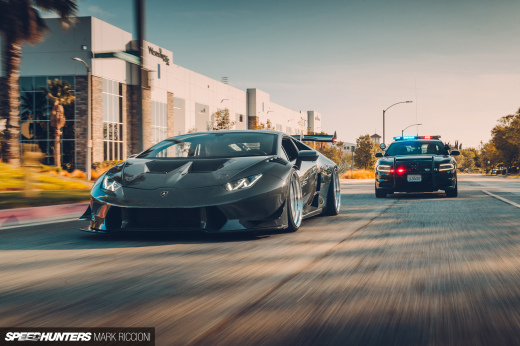 With the craziness of this month’s SEMA Show now in the rear-view mirror, I wanted to share a different kind of SEMA vehicle with you guys. It’s one that was built nearly a decade ago, but is still every bit as impressive today as it was then. 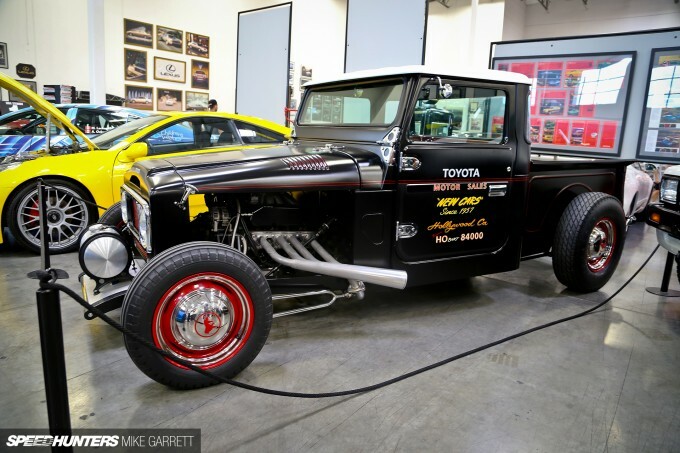 I’m talking about the FJ45 Land Cruiser pickup that Toyota brought to the Las Vegas Convention Center for SEMA way back in 2006. 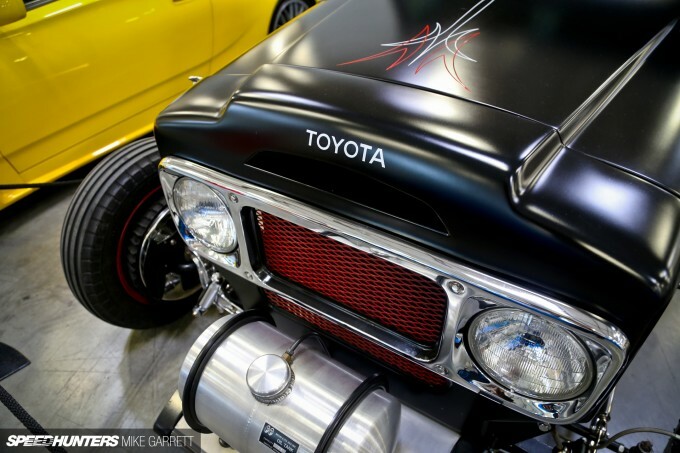 At the time, the retro-styled FJ Cruiser had just been launched, and to commemorate the occasion Toyota commissioned hot rod builder Richard Graves to create a one-of-a-kind Land Cruiser hot rod. 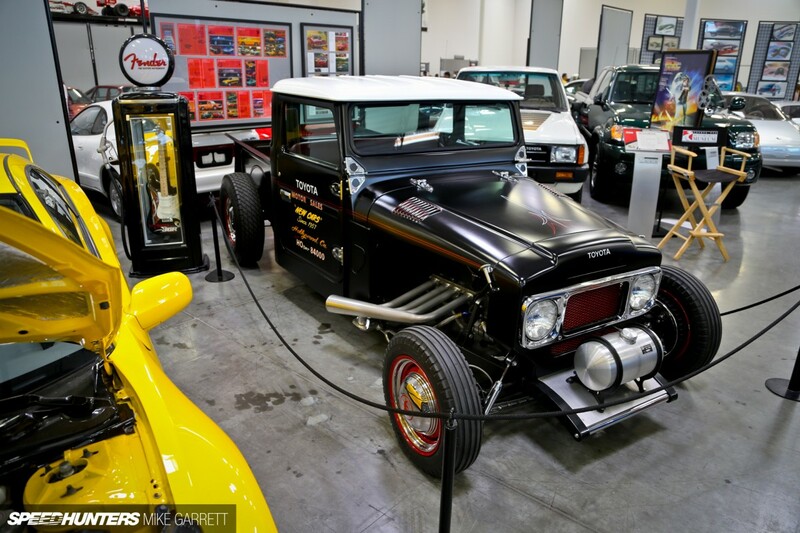 These days it’s a permanent exhibit at the Toyota USA Automobile Museum in Torrance. 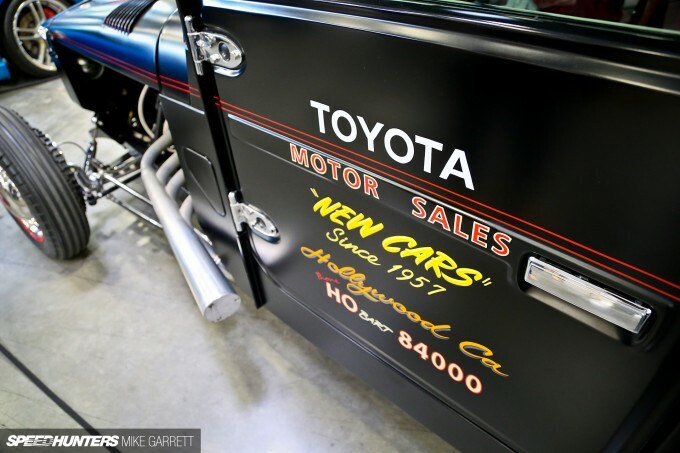 Aside from promoting the FJ Cruiser, the hot rod project was used to draw attention to Toyota’s long history of selling vehicles in the US – the early Land Cruisers being one of the Japanese automaker’s most popular products. 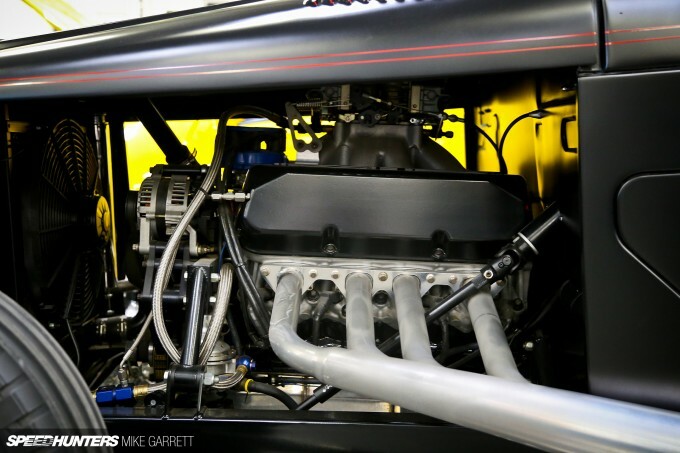 There’s something natural about an overhead valve V8 sitting in the engine bay of a hot rod, but Toyota doesn’t have one of those. Oh wait, it does… The FJ45 rod is powered by a slightly de-tuned racing motor direct from TRD’s NASCAR program, which was quite new back in ’06. While there’s no way you could call this build ‘period correct’ given its unusual platform and modern race motor, great care was taken to add as many vintage-styled details as possible. We’ve got steelies, hub caps and retro Firestone rubber. 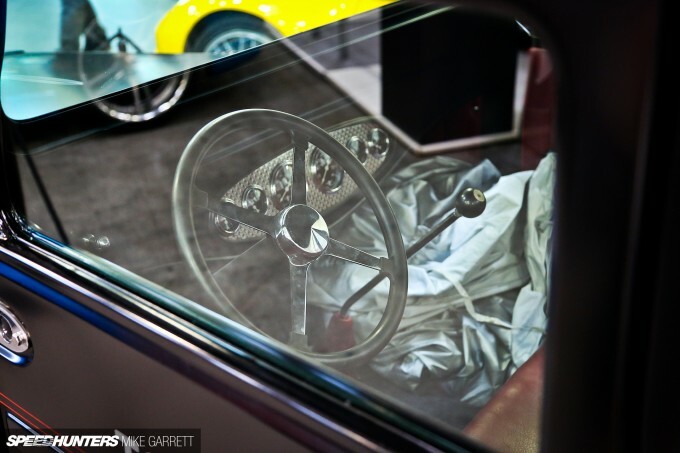 Peek in the cab and you might think you’re looking at a car from the ’30s rather than the ’60s – a strong testament to the skills of Richard Graves. And while the matte black paint and pin-striping might have you thinking ‘rat rod’, this thing is anything but a junkyard beater. 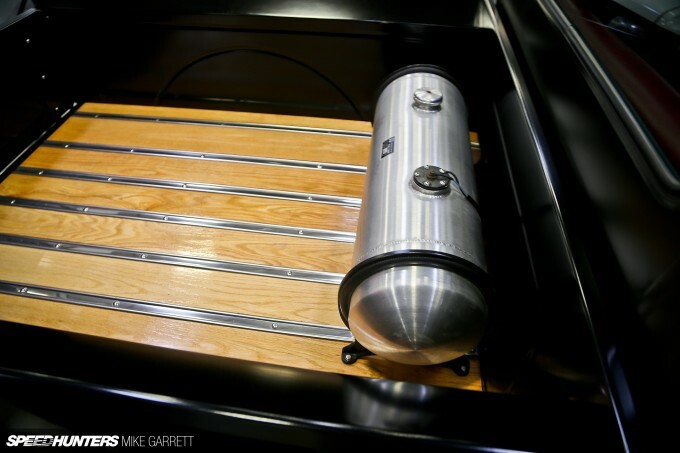 Check out the custom wood-paneling in the bed, along with the classic Moon tank. 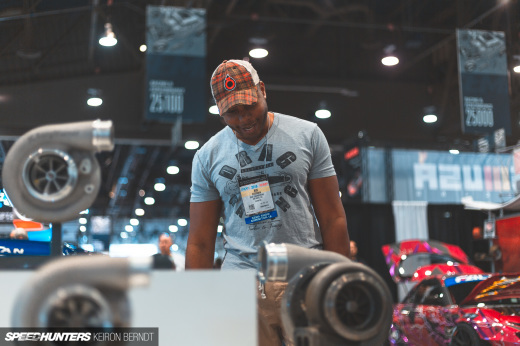 While I’m willing to bet that most of the vehicles built for the ’06 SEMA Show have long been forgotten, there’s no doubt this thing was getting as much attention at SEMA 2015 as it did back then. 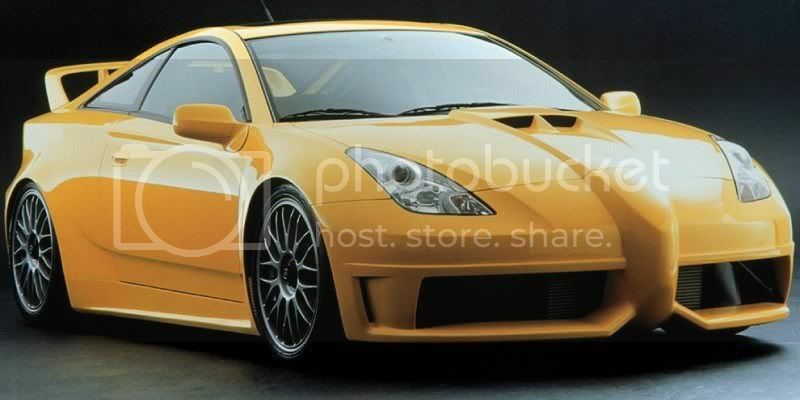 BTW , is that yellow Celica T230 made by Rod Millen ? I like it. I've seen several photos of it before. Always wanted to know a little about it. All I'm interested in is that 'Ulitmate' Celica build by Rod Millen. I remember seeing that in magazines, every story ended with a statement that it would be destroyed after showing it at different shows. I guess Toyota didn't get the memo because there it is, at the http://www.toyotausamuseum.com/. Somehow the good 'ol land cruiser grille just blended so well on this one. 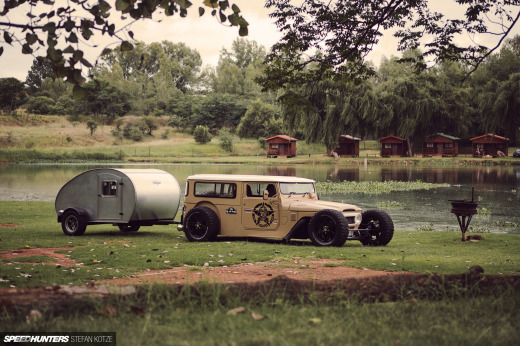 I'm not a fan of hot rods though, but this one really caught my eye. It HAS character. Toyota needs to sell some crate v8s like the American car makers. 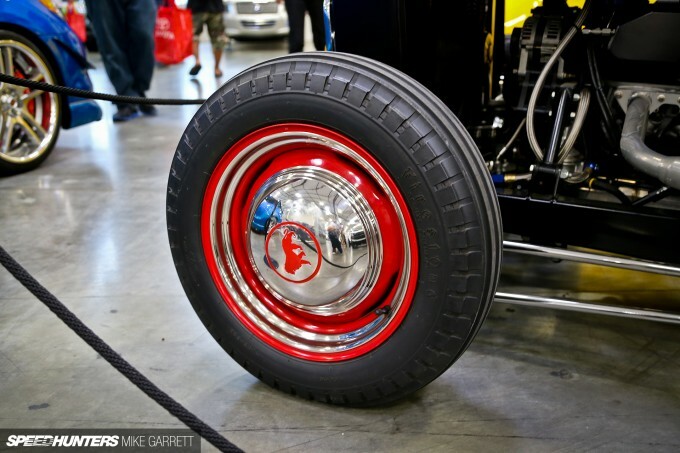 We need more hot rod Land Cruisers! ..... that AWD 7th gen Celica next door though!!!! This thing is as cool as it gets, but that yellow thing next to it......please do a full feature. I know what car it is, its the one Toyota teased us with but never made. Some in the air shots of the undercarriage would be epic, I know its near impossible though. at least it's not another stancefag feature.....but please don't do this to anymore FJ's. bluestreaksti MPistol F1 nose...not a fan.